We hope this blog will bring back some great memories of your fantastic Fun Day. Check out all the photos from the afternoon, and don't forget to leave us a comment at the bottom of the page with some of your highlights and favourite moments! 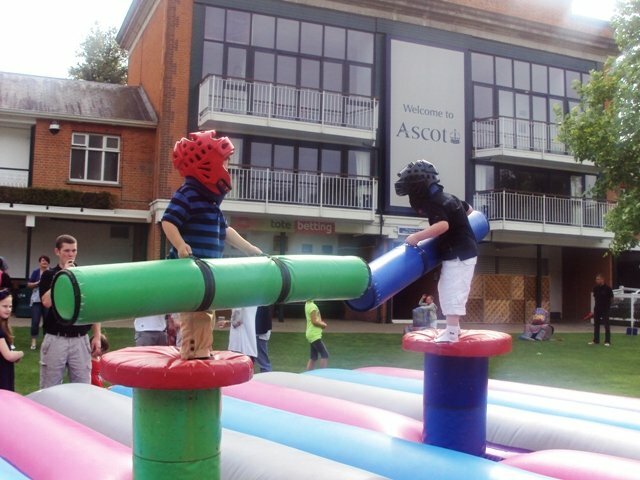 The sun shone down upon the stunning Ascot Racecourse, which provided the perfect venue for a fabulous afternoon of family-friendly entertainment with Pitney Bowes. A sense of eager anticipation filled the air, and as the guests began to arrive and look out across the fantastic activities on offer, they were sure to be in for a magnificent day. 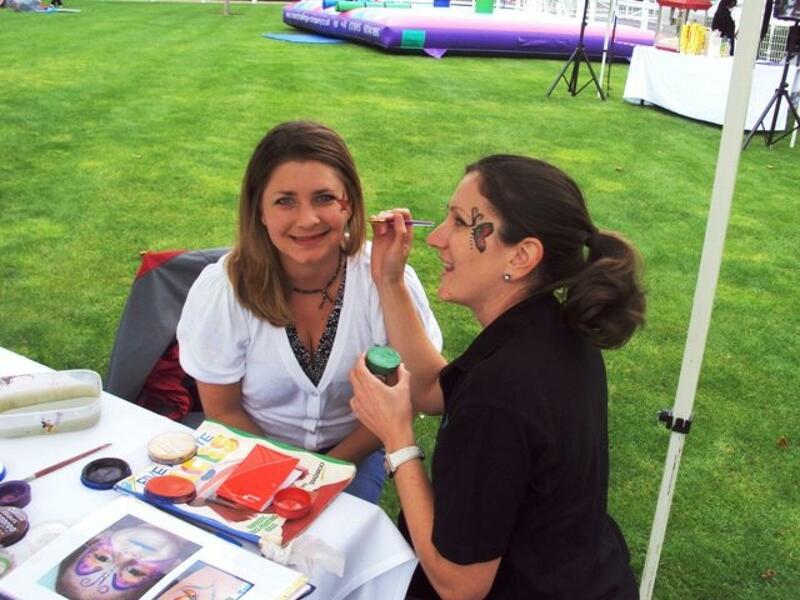 There was Corporate Family Fun Day entertainment for all the family to enjoy, with the Large Bouncy Castle and Face Painting proving particularaly popular with the younger ones throughout the afternoon. 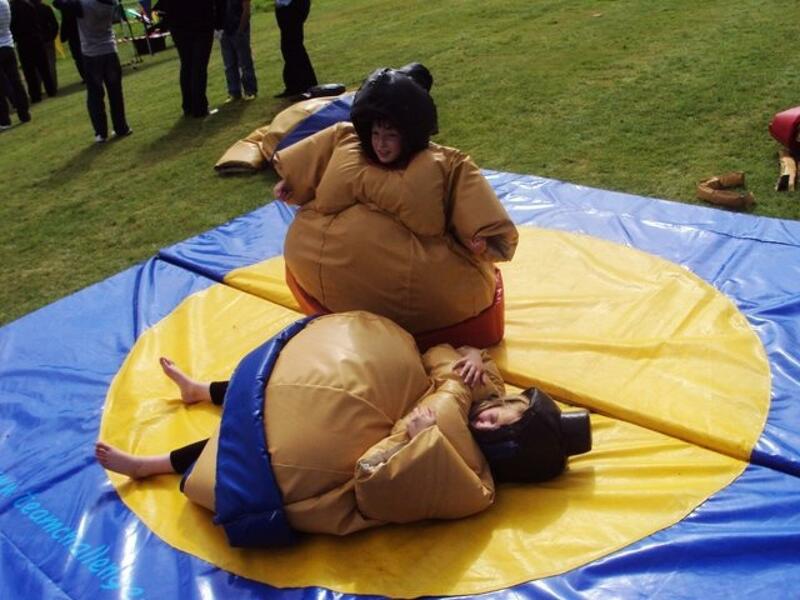 The Giant Games kept all entertained, and there was some marathon Jenga Matches going on at all times! Then there was the Gladiator Duel and Knock Yer Block Off, which provided hours of endless fun for all right across the Day. Fathers took on sons and sisters battled eachother, all in a bid for those bragging rights and that little bit of pride that comes with victory...let's be honest, it was usually the young ones finishing up as champions! The entire Fun event was accompanied with the smells of sweet popcorn drifting through the air, enough to make anybody want a box or two...! 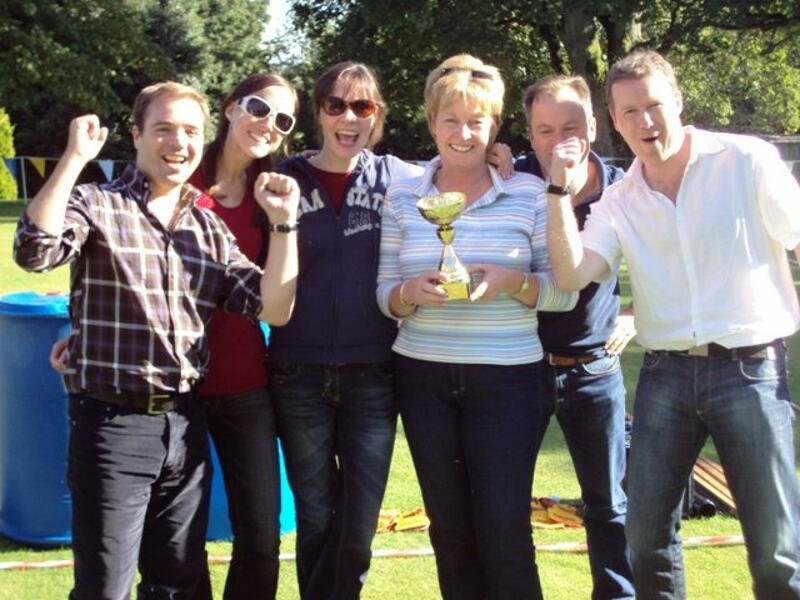 As the entertainment drew to a close, there was time for one more big finale...the Adults and Childrens Races! 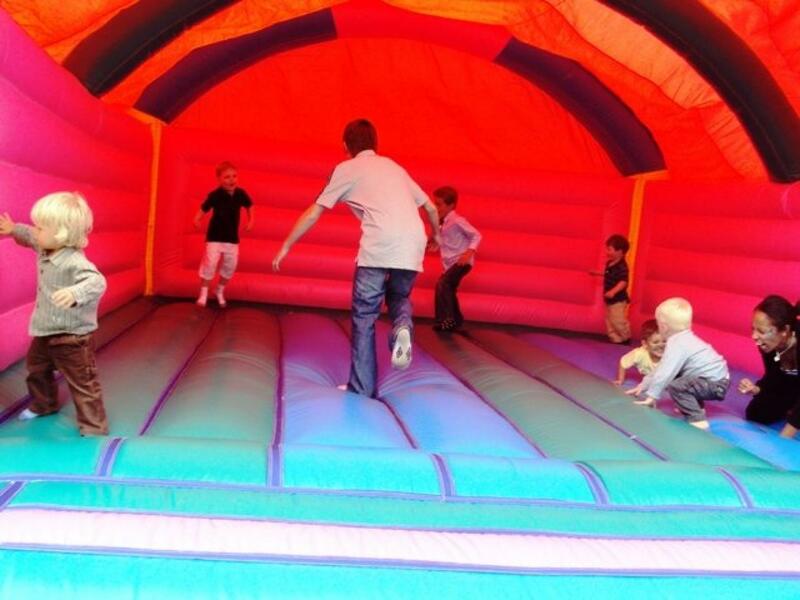 What tremendous fun this was, with the Sack Race and Space Hopper Dash proving particular favourites! As the guests began to depart, it was clear that a fabulous Corporate Family Fun Day had been enjoyed by all. A big thank-you goes out to Colin for all his hard work in organising this most special event, your effort and enthusiasm really ensured the entire event was a massive success! Everyone from Pitney Bowes were a complete pleasure to work with, and we look forward to seeing you all again some time in the future.